Founded in 2000 by its principal and president, Scott D. Roth A.I.A., the firm brings a wealth of residential and light frame commercial architecture expertise to home owners, builders and developers of all sizes. Under the leadership of Roth, the firm has capably transcended its geographic roots in the New Jersey/Pennsylvania markets to serve Chicago-land clients on a diversity of projects including: custom homes, active adult communities and clubhouses, multi-family housing, and town home communities in the region. The firm’s versatility is a testament to the depth and scope of Roth’s expertise as a specialist in residential architecture of every flavor. Indeed, Roth’s impressive background spans 30+ years with mid-and large-sized architecture firms where he earned a reputation for hands-on design and close collaboration with homeowners, builder/developer clients. It was Roth’s passion for roll-up-your-shirt-sleeves design that led him to start his own service-driven firm, where quality, not quantity, is the focus. Ed Saloga Jr.'s list of achievements is unmatched among custom homebuilders in the past twenty two years. He has been featured on HGTV and is often called upon as an expert in his field of design and building. Homes by Ed Saloga have been featured in Builder/Architect Magazine, Midwest Home, Professional Builder, Chicago Tribune, Sun Times, The Daily Herald, WGN, The Beacon News and many more publications. He has won many national and local awards. He was awarded two 'Best In American Living' awards from the National Home Builders Association. His homes was named Best in the Midwest by Professional Builder Magazine. According to the Chicago Tribune and voting public his Parade of Homes models are often voted most popular. Ed Saloga Jr. has served as President and has also been on the Board of Directors of the Homebuilders Association of Greater Fox Valley. He is also an active member of the Homebuilders Association of Illinois and the National Association of Homebuilders. Ed attends National Custom symposiums, seminars and shows in order to stay at the forefront of his profession. He draws upon his natural abilities, his Bachelors Degree in Fine Arts, and his passion for architecture. All of these things, combined with years of carpentry experience, make each home a work of Art. Michael Hershenson Architecture, Ltd. is a full service architectural firm specializing in high-end residential new construction and remodeling. With over 30 years on experience, the firm is dedicated to a high level of design quality and strives to respond quickly to clients’ needs, with careful attention to scheduling and budget constraints. The firm creates structures in a variety of styles ranging from Contemporary to Second Empire Victorian, depending upon both the client’s individual vision and community context. Michael Hershenson Architects encourages building design and construction in a manner that provides healthier environments, reduces operating costs, and conserves resources. We have experience with a number of green building strategies and technologies, including geo-thermal heating and cooling, rain-water recovery systems, solar domestic hot water systems, Energy Star labeled materials and appliances, green roofing, efficient exterior wall insulation, hydronic radiant floor heating systems, engineered wood alternatives for floor framing, sustainably harvested wood flooring, and others. Pear Tree Design Group is a full service design and remodeling firm specializing in custom kitchens and baths. With a combined 30 years of experience specializing in all aspects of remodeling and construction, our passion is making a clients vision a reality. 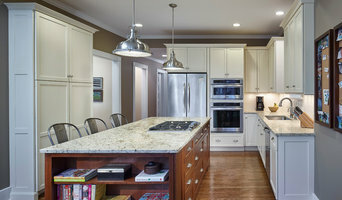 Located in beautiful downtown Naperville, Liam Brex Custom Cabinetry and Design was founded by designers Amy Sandack and Lisa Sleckman in 2007. Lisa and Amy teamed up to create a special design firm where old fashioned work ethic and integrity, a passion for excellence and innovative design are the focus. With more than sixty years of combined kitchen and bath design experience, the award-winning Liam Brex team offers exceptional design and service. Goesling Group is an interior design firm specializing in high-end residential interior design and home remodeling in the city and suburbs of Chicago. Starting the design and remodeling process can seem daunting without the right help. I’m here to talk through all of it with you and make the whole process as seamless as possible. Whether it’s a small powder room that needs new fixtures and the perfect paint color, or if you’re planning on gutting your whole home, it all starts with the first meeting. Are you considering a new home? Do you have a reliable home builder to work with? 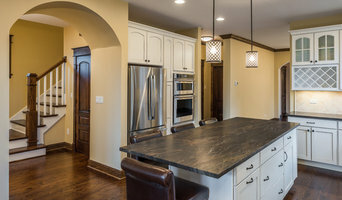 Nottingham Builders, Inc. has been in the northwest suburbs of Chicago for over 40 years. We provide our clients with value-- an excellent product at a fair price. We work with our clients throughout the process and show you what we are doing, and the cost involved each step of the way. The costs of materials and labor are shown, along with our overhead and profit (10% on new construction; the remodeling markup varies depending on the scope of work.) Because we have a transparent process, we are very proud to say we are still friends with our clients AFTER we finish the job. 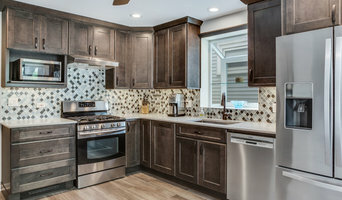 Fairfield Homes is an award winning design-build firm specializing in affordable custom homes serving the North and Northwest Suburbs of Chicago, IL. Each home is designed to improve your lifestyle and positively impact the surrounding neighborhood. We build in established neighborhoods by responsibly preserving existing infrastructure, so each sidewalk, tree and park retains the character it has inherited over the years. Revitalizing Houses Typical houses can last fifty or more years. However, the components inside them may have shorter lives. Gas and sanitary lines last up to forty years and electrical wiring lasts just thirty. Millions of these obsolete, even dangerous houses are perfect candidates for creating custom homes that revitalize entire neighborhoods and communities. Eco-Friendly We build in established communities that have varied houses with beautiful shade trees lining every street. Established communities mean: Downtowns, city halls, shopping centers, clinics, police stations, fire stations, great schools and libraries. Because we build in these areas, there are no costs associated with creating new infrastructure. Similarly farms and natural land are preserved from careless suburban sprawl, disconnected neighborhoods, and environmental degradation. Thriving Neighborhoods Fairfield strongly believes that recycling and replacing obsolete or dangerous houses with new, more ecologically friendly homes can help an already successful community become even more prosperous. Responsible home building preserves and enhances surrounding natural and cultural resources and stimulates local economies through energy savings, increased tax revenue and safer, smarter neighborhoods. Family Values Fairfield builds in specially selected areas. Easy access to city corridors reduces your commute and gives you more essential time with friends and family. And the monthly energy savings you’ll achieve in a Fairfield home can be reinvested in regular family activities or important long-term goals.